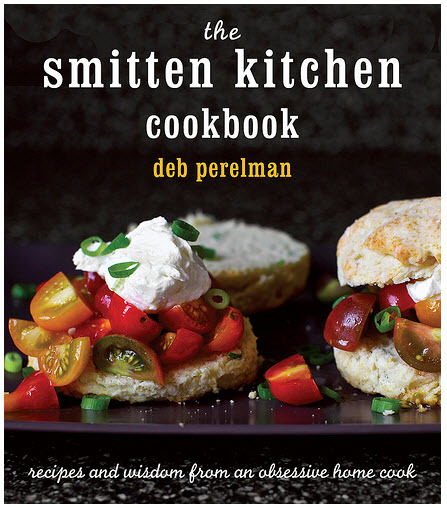 I got my smitten kitchen cookbook in the mail the other day. It looks like a good one. I haven’t gotten a new cookbook in a long long time and have been looking forward to this one. Smitten Kitchen is one of my favorite food blogs that I have been following for the past couple of years and have made many things from. The cookbook is mostly new recipes and having looked at it just a bit I’m hoping good things are soon to follow. I was just reading that she is currently on a book tour on the west coast and so many people are showing up that there are lines up to three hours long. Of course she’s not coming to Cleveland…maybe next time. NPR gave it a nice review.